Get ready and grab your sneakers because we will walk through the most colorful streets of Lima's bohemian district. Discover what the artists wanted to express and what inspired them. We know personally most of them so we will share with you more than just a story. 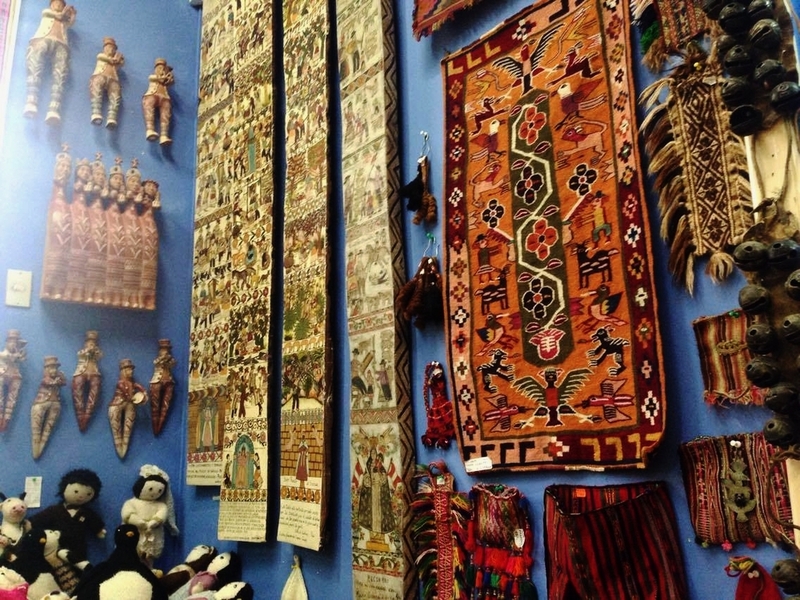 One of the biggest private collections in Lima city is waiting for you inside a beautiful house where the Director will give you a guided visit. After this we will take the bus to go to one of the most 'hip' conceptual art galleries located in front of the magnificant Pacific Ocean view and finally the magical color parade in our street art tour will be the perfect touch as closure for a unique day. This is time to share with young contemporary artists in their own studios and gaze the luxurious workshop of one of the most recognized Peruvian artists. An unbelievable and unique welcome or goodbye time in Lima. A unique experience that features meaningful cultural encounters. Learn how to create an art piece from the artists themselves. Be amused with this unique house owned by a famous collector. Choose your accessories, souvenirs or even furniture from the highlands or jungle site. If you truly enjoy good time shopping this will perfectly suit you. A famous and glamorous house dedicated to silver jewellery and decor pieces in Peru will open their doors for your own pleasure. This is where real silver is located. Learn with an expert bartender how to prepare exquisite pisco cocktails and non-alcoholic drinks made with local fruits. One of the most exquisite tastings will be right in front of your eyes. Experience the chocolate making process from the bean to the chocolate bar and sin just a bit discovering the taste of 4 distinct chocolates. A perfect opportunity to taste a mixture of Peruvian food in one go... sea food, pasta and jungle food in our famous restaurants. Enjoy your time in Peru as at home. Choose from our different accommodations up to a full four floor condo filled with art, a private bar, pool and even we may arrange a one hour massage in front of the best Ocean view in town. All professional chauffeurs drive luxury cars bringing sobriety, discretion and elegance highlithing a prestigious experience. Require this service with yout tailored program. Leave your luggage with us and collect them safely at the end of the day. No more worries about leaving these at any random hotel. We also provide luggage deliver back to you to make things even more convenient so you can enjoy the city without any worries. Discover authentic and exceptional experiences through tailored programs which will allow you to be introduced to local artists, the best restaurants and hidden stores. Enjoy marvelous Peru through all your senses. Founder of Tailored Tours Peru and Peru's local Art Portfolio BLOC Art. Brenda was born in Scotland and moved to Peru at an early age. Graduated from Universidad de Lima in Communications and after working many years in Marketing she decided to become an entrepreneur in the art world with the mission to promote local artists. As a passionate woman she is constantly looking forward to discover new gourmet, artistic and travel experiences to share with the world. After pieces of life in Paris and Lille, Istanbul and Bariloche, Céline has moved to Lima to spend her 30’s, enjoying exciting Latin-American life. Always with plenty of projects, she is very happy to jump from business to art, from education to gastronomy to get into new experiences and adventures. 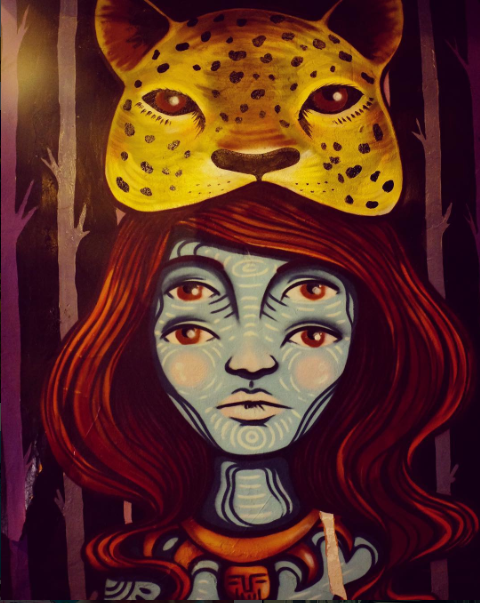 She sees street art as “the soul of a district” and loves walking in Lima's bohemian district always discovering new hidden and powerful murals. 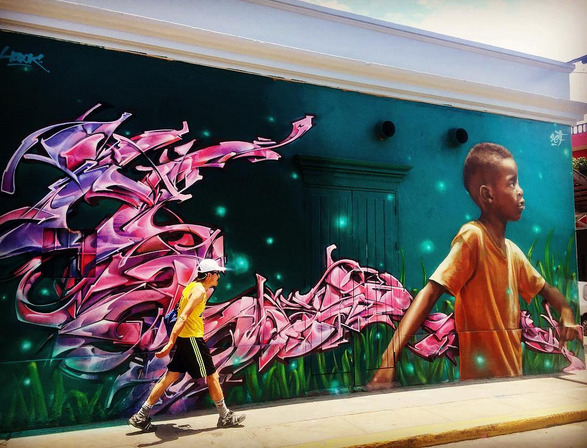 "This tour by Tailored Tours Peru takes you across the city to see the best of Lima street art. The entire city seems to be a canvas, wisely used by local artists to paint their impressions." "And while the art I enjoyed on my final morning in Lima was truly magnificent, my appreciation of it was greatly enhanced by my Tailored Tours Peru guide (...) But even more so than that – as it was just the two of us – Brenda is so upbeat and fun, skipping to mural after colorful mural with her was like wandering the streets of Lima with a long-time girlfriend!" "Brenda is the badass that created Tailored Tours Peru, and the guide for our Street Art Tour. Now, we’ve had plenty of tour guides, but this girl really knows her stuff. 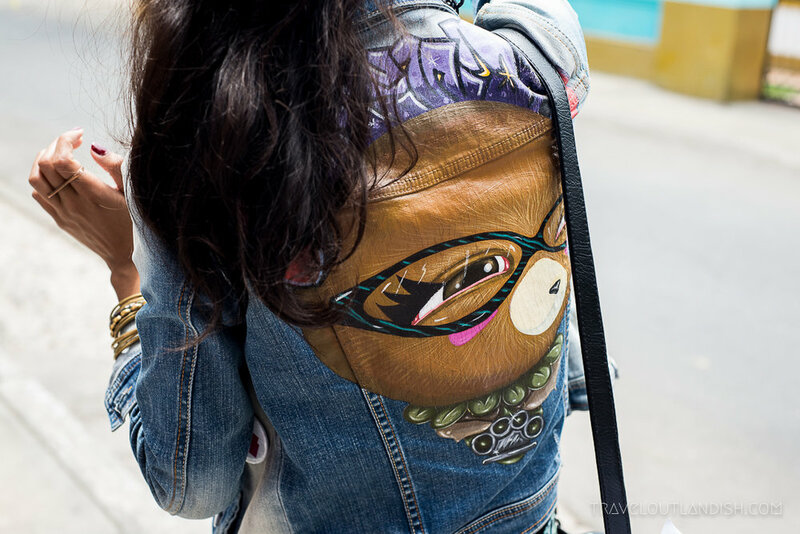 She’s friends with most of the artists (she even rocks her own custom denim made by Nemo), so rather than speculating, she can tell you about Lima’s street art down to the detail... It’s not hard to find street art by just wandering around the Barranco neighborhood, but the tour with Tailored Tours Peru was hugely experience enhancing. We started to recognize artist’s work speckled around the city, and loved having the backstory on a growing movement." "I’m so glad I did as it was my favourite thing we did in the city and I felt that I not only got to learn so much about the art, but also the city too!... The amazing thing about the tour was getting to learn about the history of the murals, the significance behind them, the history of street art in Lima and whats more, Brenda is a friend of lots of the street artists so she really knew her stuff!... Of course, you can always guess what the artist wanted to say, but it’s so interesting to hear about what they really wanted to portray." "Tailored Tours Peru is also offering a graffiti tour in this area if you are looking for a guide to show you the best spots. Holla at them!" "One of my favourites pieces of yesterday's tour with @tailored_tours_peru"
"Thank you @tailored_tours_peru for an amazing and super funny street art tour"
"Ik denk dat we in totaal zo’n vijftien werken bekijken. Brenda vertelt ons ondertussen over de street art cultuur, de graffiti artiesten en de schilderingen. Veel van de street art artiesten kent ze persoonlijk en daarom kan ze ook veel details vertellen. Sommige muurschilderingen zijn zo nieuw (slechts een paar dagen oud) dat het bij raadwerk blijft." "Sure, it´s one thing to visit artwork when it’s hanging in a gallery or museum, but how about when it’s still fresh on the canvas? Furthermore, how can you really begin to understand the artistic process that leads to the inspirational pieces? Well, one great suggestion would be to go and see the artists at work in their studio, but is that even a possibility? Yes! With Tailored Tours Peru, gaining a sneak peek into the work of different Peruvian artists just became an activity you can put to the top of your Lima-list. Yet there are so many diverse artists and genres on the Peruvian art scene that just visiting one would not be representative of the reality here. How about three?" "...if you did want to take a tour, Tailored Tours Peru are the people to go to."